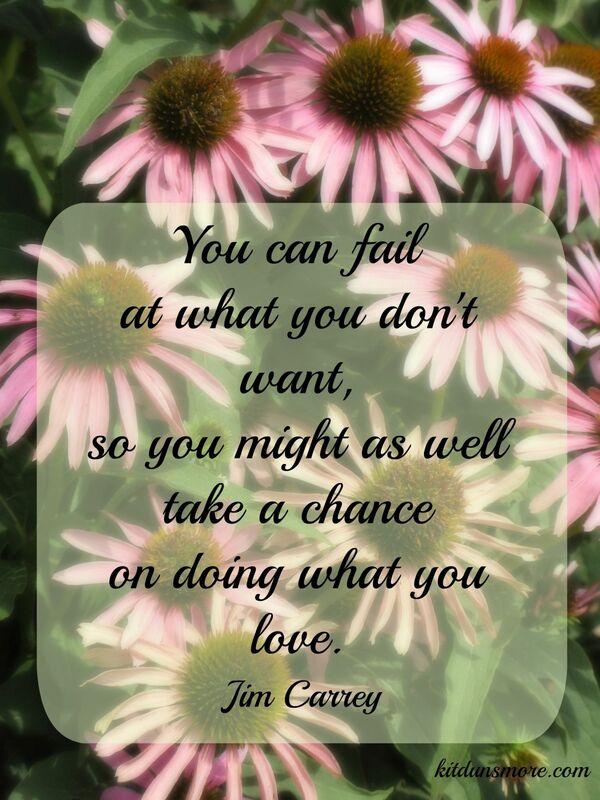 I love this quote from Jim Carrey. He tells a poignant story about his father, who lost his “safe” job as an accountant, when his dream was to be a comedian, in this short clip from a commencement speech he gave last spring. It’s a great reminder that we might as well go for the gold. We may never achieve our dreams, but at least we will be living a life we care about. This really struck a chord with me. Almost a year ago, I left my “safe” job at a magazine to become a full-time writer. This year has been full of ups and downs, but I get to wake up every day, put words on the page, and do what I’m most passionate about: telling stories. Great post! How brave of you! I lost my job due to health issues and thanks to a wonderfully supportive husband, am able to do what I love every day. I don’t know if I would have had the guts to just quit my job to go for the gold. I am grateful that the universe was looking out for me and set me on this path. Yes, having a supportive partner helps. My husband was the one who encouraged me to go for it. I couldn’t have done it without him. I’m glad your path is working out for you. I feel blessed to be able to write every day, too!